Experience the excitement of the holidays and the joy of the seasons with the captivating characters of Tubblewood. Although Miss Duck would prefer to stay in the warmth of her cozy home sipping a steaming hot cup of apricot tea, her life always turns into an adventure when she is called upon to help a friend or a neighbor. 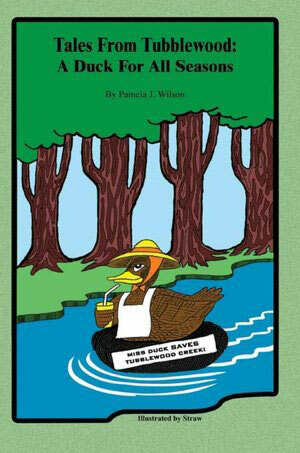 All year round join Miss Duck and her furry woodland friends in their escapades, whether they are saving Tubblewood Creek from pollution, taming the Terror of Tubblewood who haunts the house he unjustly stole, or settling the dispute between the moles and the buffaloes that started the War of Webberwood Way.